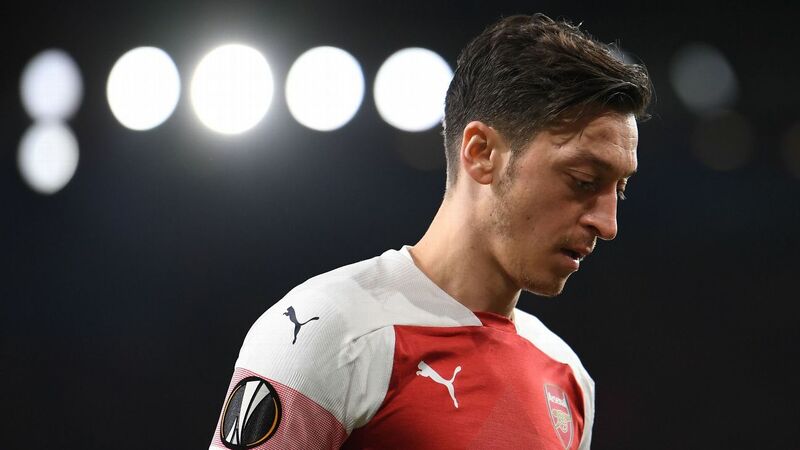 Arsenal cruised past Belorussian side BATE Borisov 3-0 in Europa League action on Thursday night to advance to the round of 16. The win at Emirates stadium ensured a 3-1 aggregate victory for the Gunners, who lost the first leg to the Belorussian side last week. Arsenal took the lead inside four minutes when Pierre-Emerick Aubameyang's right-wing cross was deflected into his own net by defender Zakhar Volkov. Arsenal had little trouble with BATE Borisov and are now into the round of 16 of the Europa League. Following their Europa League defeat at BATE Borisov, ESPN FC's Paul Mariner takes Arsenal to task for their less-than-impressive showing. ESPN FC's Paul Mariner and Shaka Hislop disagree about the amount of pressure Unai Emery may or may not be facing in the Premier League this season. 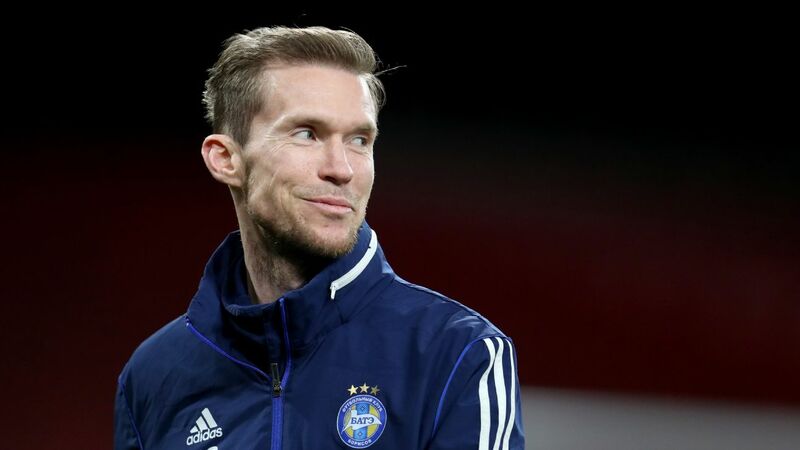 Stanislav Dragun's goal before half-time gave BATE Borisov a 1-0 first-leg win over Arsenal in Europa League round-of-32 action on Thursday. 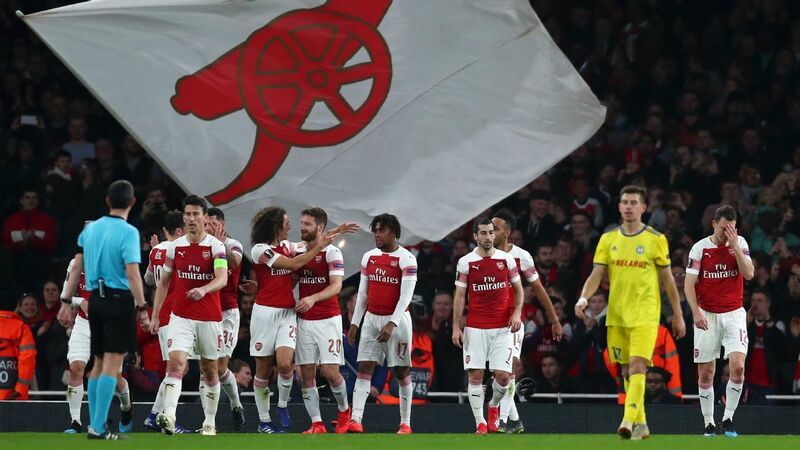 Arsenal pressured the Belarusian club -- who hadn't played a competitive match since Dec. 13 -- early in the match but BATE weathered the storm and began to take advantage of the Gunners' lapse defending. Olivier Giroud ended his drought by scoring the only goal as Chelsea won 1-0 at BATE Borisov on Thursday to clinch a place in the knockout stage of the Europa League with two group games to spare. Giroud had not scored for Chelsea for six months but he knows what it's like to net against BATE. Last season, he was on target in both games against the Belarusian champion when he played for Arsenal in Europe's second tier competition.